At the heart of our business is a passion for excellence in engineering. This has guided every aspect of our philosophy to create high quality fans. By utilising an integrated automated manufacturing process we believe that we manufacture the highest quality fans in the industry. The driving force in designing our fans was to be as efficient as possible. This efficiency had to apply to the manufacturing process as well as the operating efficiency. We believe that we are unmatched in both these areas with our efficiency gains in our fans being as high as 15% compared to our competitors. Our manufacturing process has been designed around our bespoke integrated manufacturing software solution that enables us to process a fan from an estimate at a click of a button. This coupled with our unique manufacturing process enables us to complete your orders in half the time that is offered by our competitors. At its core our business is based on engineering excellence. 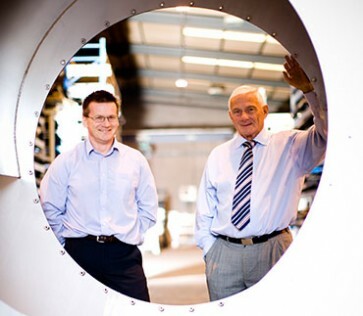 Our engineers have an intimate understanding of engineering principles and their application to fan manufacturing. This enables us to tailor our fans to meet the individual requirements of any customer. We offer over 20,000 fan designs from 250mm impellors to 2.4 metres. 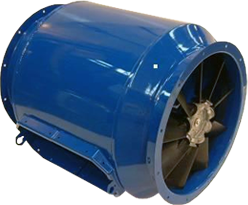 We produce 3 main types of Axial fans, Long and short cased, bifurcated and belt driven fans. 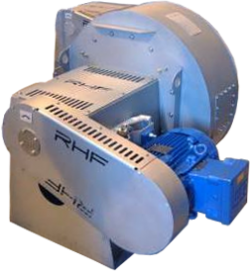 Strategic investment in manufacturing equipment allied to class leading engineering, software development and design skills has enabled RHF to create a range of industrial fans that deliver superior performance across all applications. RHF’s bespoke solutions and unique ‘Smoothflow’ technology deliver guaranteed performance advantages in the critical areas of inlet and impellor construction, which in turn ensure better performing products. Comprehensive technical documentation and rigorous testing underpins all product development. Better thinking from RHF, from the first point of enquiry, through specification, design and production creates more effective solutions for our customers.